We’d love your help. 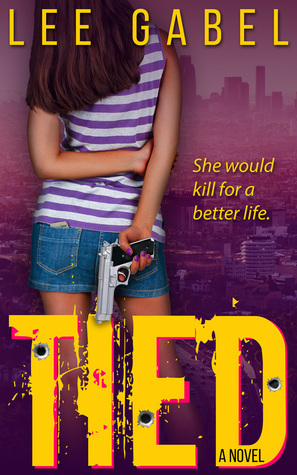 Let us know what’s wrong with this preview of Tied by Lee Gabel. It’s The Outsiders meets Boyz 'n the Hood… but with tough, streetwise girl gangs of South Central L.A. Betrayed and left for dead by her own sister, Jess plans her ultimate revenge. But she's fallen into the role of caregiver It’s The Outsiders meets Boyz 'n the Hood… but with tough, streetwise girl gangs of South Central L.A. The rough neighborhoods of South Central L. A. erupt with violence over one blazing summer night. Two gangs, two sisters, wage war on each other. Both Jess and Nova want a way out, but who has the better plan? Only one can walk away. This book, described by some as “grit lit”, is for adults well versed in gang culture. It's not for kids. In fact, if you're under sixteen years of age, you'd be best to wait a few years before reading. Let me explain. Even though this intense story revolves around a cast of teenagers, some as young as fourteen, the story is adult in nature. There's swearing and violence throughout. I guess you could say it's about young adults in a very adult world. This story is not for everyone, but if you like strong female characters, gang culture, and gritty street life, then there's a good chance you'll be turning pages until the end. I invite you to take a chance with this realistic look at family, friendship, betrayal and revenge through the lens of tough Los Angeles girl gangs. Pick up your copy and get reading with one click. “A gritty novel” is one of those clichés that a reviewer hopes to avoid but I have to admit that periodically, while reading Lee Gabel’s Tied, I felt the need to take a cold drink of water, or even reach for the mouthwash, such was the stark harshness of much of this tale about gang warfare on the streets of South LA. There were few characters with which I could identify and few that I rooted for, although I was deeply saddened by the events that took over the lives of Jess, Samantha and Nova. A “A gritty novel” is one of those clichés that a reviewer hopes to avoid but I have to admit that periodically, while reading Lee Gabel’s Tied, I felt the need to take a cold drink of water, or even reach for the mouthwash, such was the stark harshness of much of this tale about gang warfare on the streets of South LA. There were few characters with which I could identify and few that I rooted for, although I was deeply saddened by the events that took over the lives of Jess, Samantha and Nova. All three girls had their lives dramatically affected and changed by the ruthless street “rules” and turf codes inflicted by the various gangs in their local district. Sisters Jess and Nova are gang members through their desperate need for the protection it offers but must cope with the vivid, unforgiving realities that are inflicted on each of them. Lee is an indie author and self-publishes all his novels. He apprec Lee Gabel is the author of five novels: Tied: A Street Gang Novel, David's Summer, Snipped: A Cutting Comedy, Vermin 2.0, and Arachnid 2.0 (Fall 2018). Follow Lee on BookBub and on Amazon to receive notices about his new releases and deals, or join Lee's reader group at LeeGabel.com/signup for even more important information.